Odhiambo played right tackle for Boise State in 2013 and left tackle the past two seasons, though the Seahawks plan to play him at guard. Personal: Odhiambo was born in Nairobi, Kenya, but moved to Texas with his family in 2000 when he was 7 years old. He said both of his parents have died — his father before he moved to the U.S. and his mother when he was 17. Odhiambo attended Mansfield Legacy High in Mansfield, Texas, before being signing with Boise State in 2011 when current UW coach Chris Petersen was the coach of the Broncos. He was All-Mountain West first-team selection in 2015 and was an all-academic selection his last three years, majoring in exercise science. 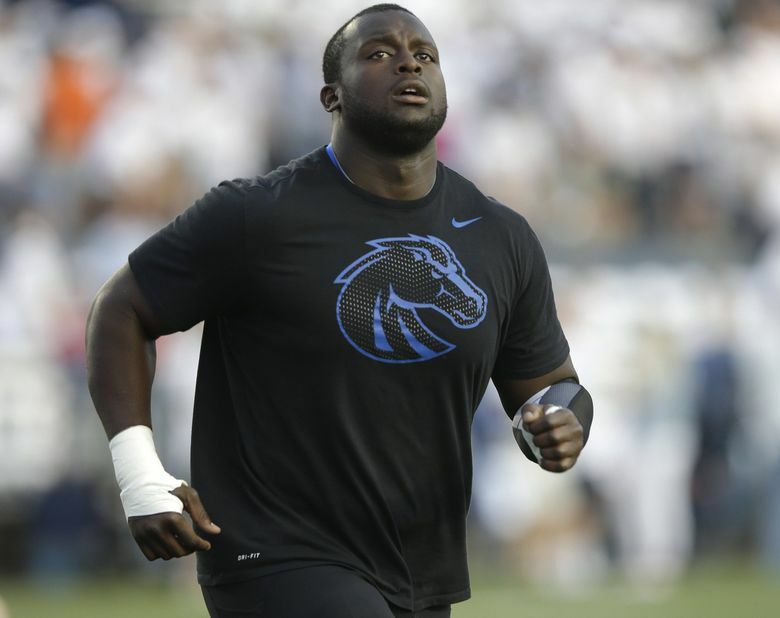 Scouting report: Odhiambo played right tackle for Boise State in 2013 and left tackle the past two seasons, though the Seahawks plan to play him at guard. Though he was standout in college, he missed games each season and never played more than 10 in any year. He played eight games last season before suffering a broken left ankle that ended his season. He has had surgery on both ankles and did not work out at the NFL combine due to an ankle injury, though, he said he is healthy now. Was known for both his power and ability to get to the second level at Boise State.